Your home's entrance is where buyers begin forming opinions about whether your home is desirable or not. Your front door should say, "Hello." 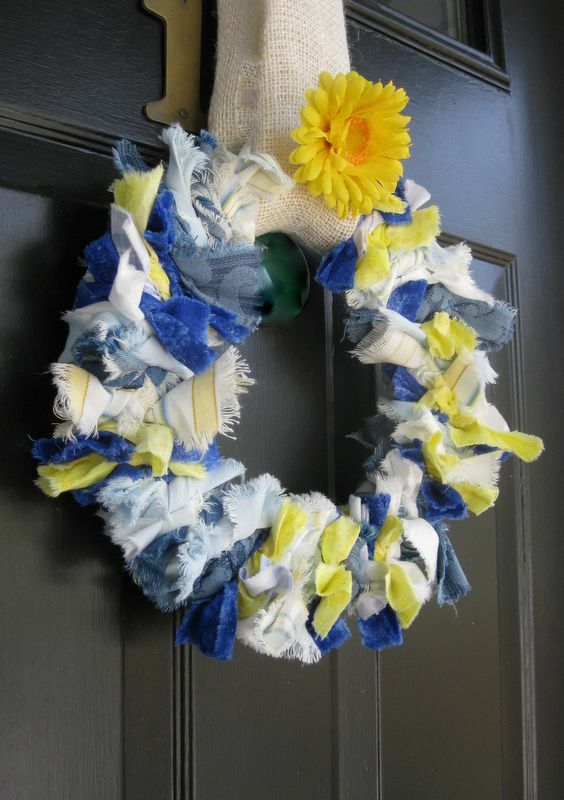 One favorite way to greet house hunters with a friendly hello is with a fresh, colorful wreath. 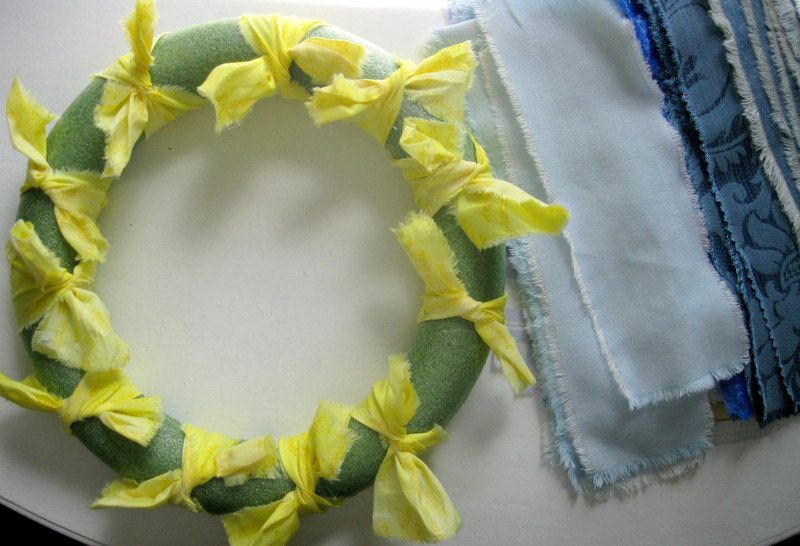 Here's how I made a wreath using cloth strips on a foam ring. It's so simple you can do it while watching a movie at home. 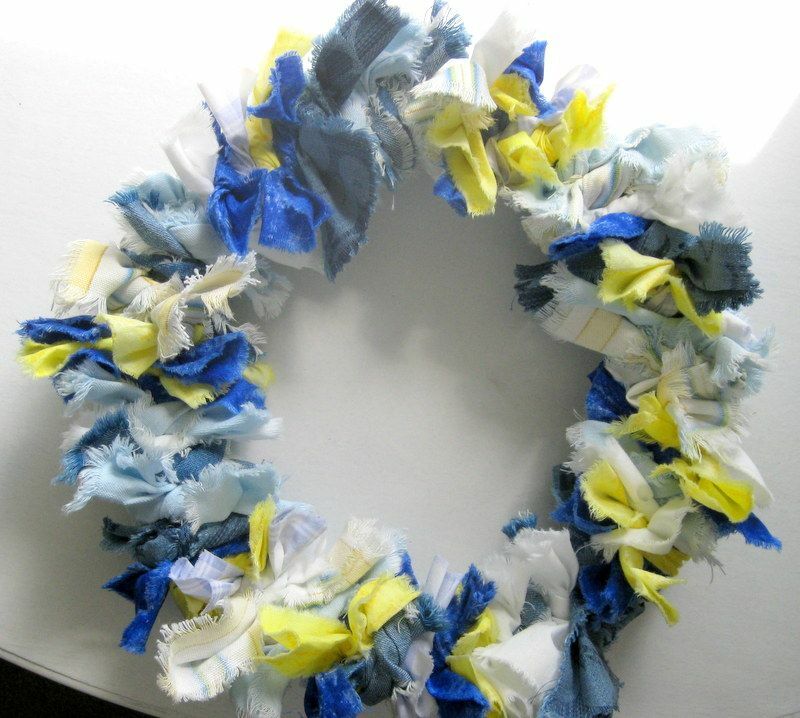 The beauty of these rag wreaths is that you cannot make an ugly one. Their nature is to be a little on the funky side, but -- depending on the fabrics you select -- they can be downright elegant. I love that these wreaths can be propped in a fireplace opening in summer, hung in the kitchen for a bit of charm, or placed in a bedroom for some soft textures. I am sure you will find other places in your home that need a touch of whimsy. 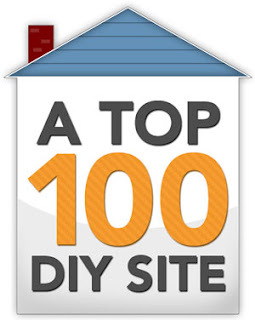 And you can do it all on a shoestring! 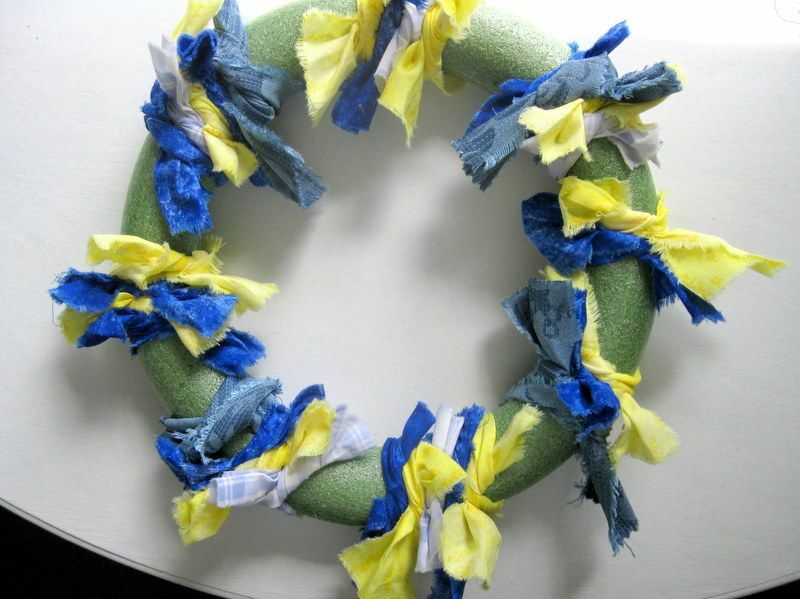 Outside, a rag wreath, unless made from outdoor fabrics or plastic, will need some protection from the weather. But most front doors offer enough shelter. I also like that rag wreaths, because they have a finished appearance front and back, can be hung in a window opening or on a mirror, and still look fabulous. They look pretty from a distance, and interesting up close. Ready to make yours? All kinds of fabric are suitable. For your base, choose one made of foam, straw, wire, or vines. Some kind of seasonal embellishment, such as a silk flower, seashell, ornament, toy, or fake fruit. How much fabric you need depends on the size of your ring. My ring measured 12 inches across, and I used 60 pieces of fabric measuring between 2 and 3 inches wide by 12 inches long. If you don't have scrap fabric, and want to buy fabric, calculate a 1.5 yards total. You should have at least three different patterns in a complimentary color scheme. I've blogged about how to mix patterns when you decorate. You can also tie on pieces of ribbon or tulle to the finished wreath. 1. 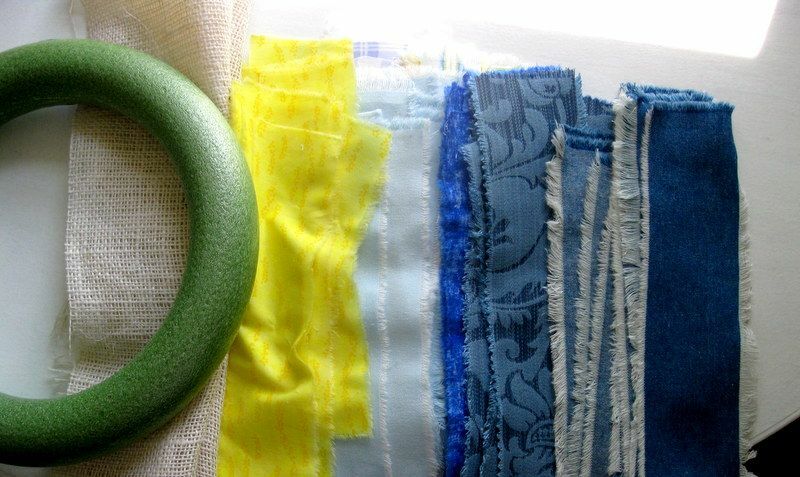 Determine how long you need your fabric strips to be by tying a test strip of fabric around the ring. 2. 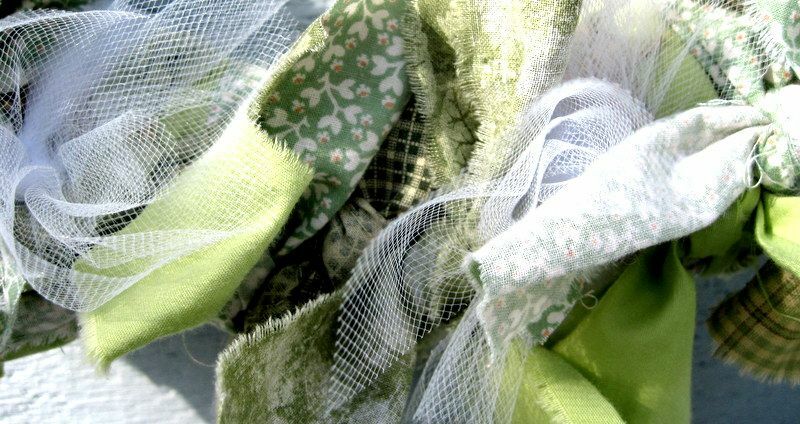 Tear your fabric into strips, and separate them into piles. The fabric can be torn on the crosswise grain or the lengthwise grain of the fabric. Be prepared for lots of loose threads, but just pull away the tangled ones for now. 3. Start your tying with the fabric you have the least of. Space these ties around the wreath. Pull away stray threads if they bother you, or just let them be part of the wreath's natural charm. Don't be afraid to mix drapery fabric with delicate silks, and denims with floral sheets. As long as your colors work, and you follow the rules for pattern mixing, the look will be interesting. 4. Tie another pattern or color of strips around the wreath form, spacing them evenly around the circle. 5. 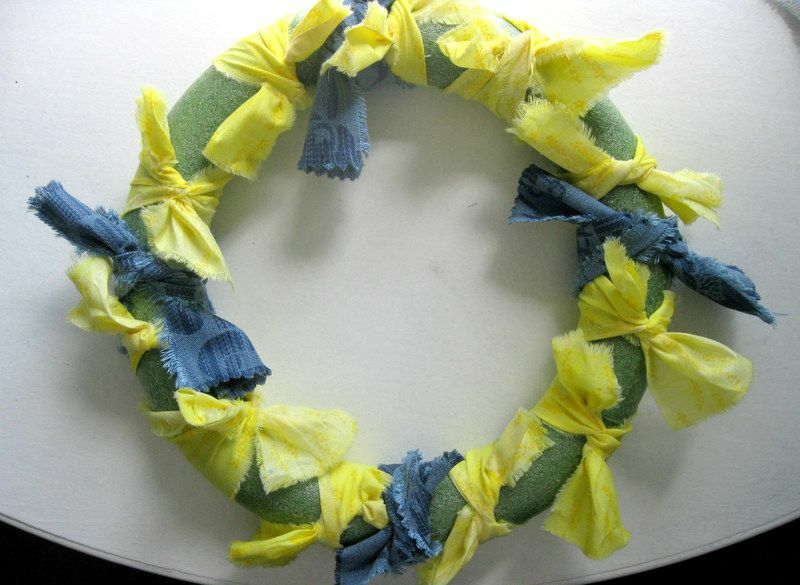 Cover the wreath with remaining fabric ties. If using a smooth foam ring, sliding the strips so they are snug together is easier than if you are using a vine or straw wreath form. Fill in any gaps with additional ties or ribbons, and save a space for the tie you will use for hanging your wreath. 6. Add your ornament or embellishments. You can center one item or cluster of items on the lower half, or place multiple ornaments around the circle. 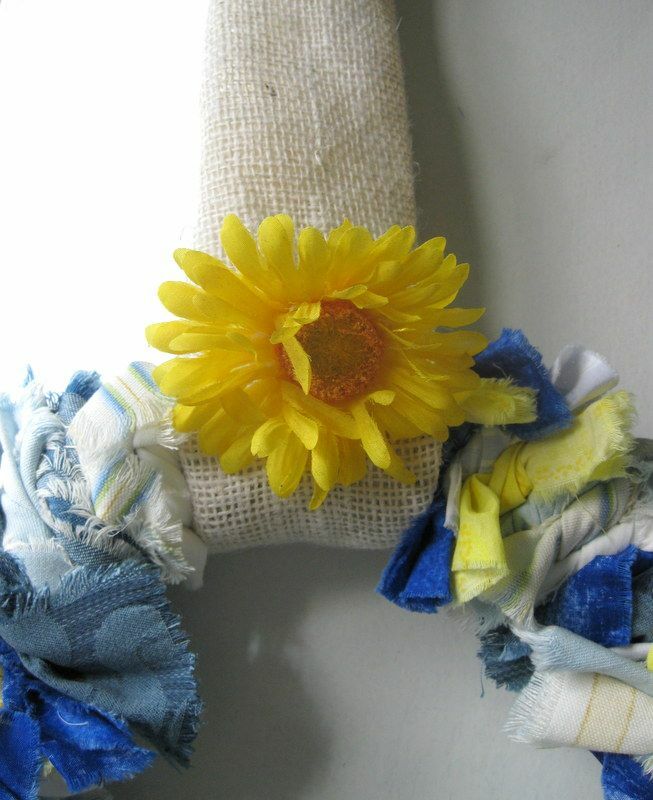 I chose just one sunflower for this yellow and blue wreath. 7. Tie the wide ribbon or fabric strip in a loop around the top. And hang your wreath. If there is no hook on the door, duct tape comes to the rescue. Tape the top of the loop to the top edge of the door or mirror. You can use this simple formula to create wreaths for any season your home is on the market. 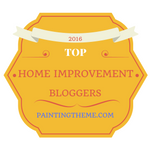 Buyers will notice that your home is being given attention and care. In spring, a collection of pastel fabrics and florals is perfect. Bright colors and flowers rule all summer long, and in autumn, you'll want something seasonal like orange leaves, small gourds, bittersweet berries, and dried flowers. In winter, you can bring on the glitzy fabrics, colorful bows, and gilded ornaments! and I added strips of white tulle to soften the look. 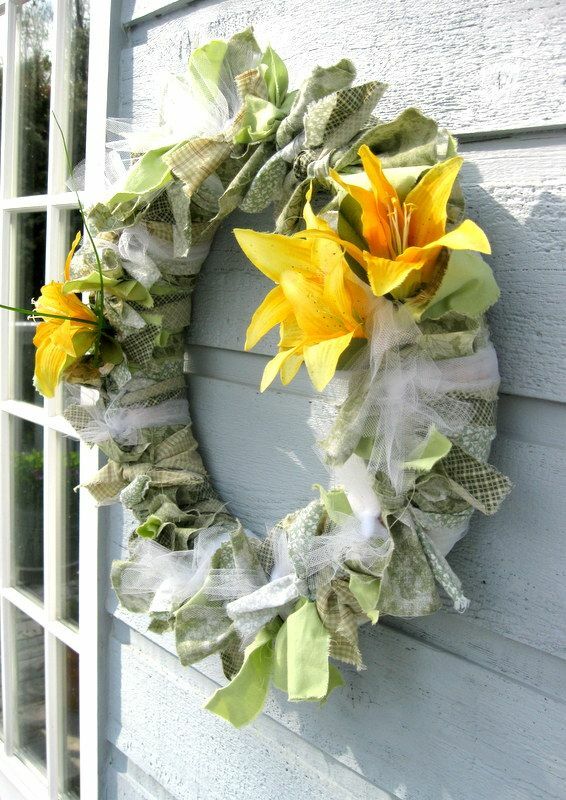 A few yellow, silk, day lilies brought this rag wreath to life. There are plenty of ways you can give your home the "Buy Me" touches that set your place apart from the competition. Download my $4.99 eBook, DIY Home Staging Tips to Sell Your Home Fast and For Top Dollar, to learn more tips, tricks and techniques.